I've written about Petit Ballon before, a wine subscription service that does things a little bit more beautifully. 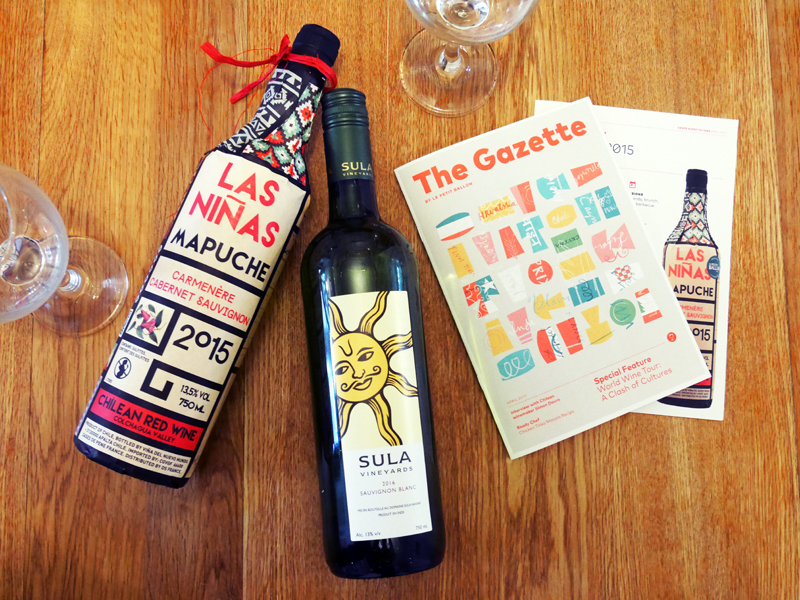 One of their USPs, along with some very well selected wine of course, is the nicely designed and considered Gazette. Often with these food and drink services, the informative pieces are poorly executed or purely functional. Any subscription service is a lifestyle luxury so each element should contribute to the overall product experience. Le Petit Ballon's look, as with their ethos, is unstuffy, youthful and approachable - refreshing in the sector - but content is still very much key. Along with the Gazette, which is filled with wine features, recipes, interviews and music pairing (of course! ), are some clear and realistic tasting note cards with plenty of useful information such as keeping potential, serving temperatures and food pairing. Wines are also categorised into sensible and approachable labels, or cheat sheets as they call them. These make complete sense ie. Relaxed Reds are easy to enjoy and light whereas With-it Whites are complex and edgy. No-one needs an education in wine to understand that. Each month the box is themed and I received the "Around The World" collection. BANG, this was my kinda red. A real Jessica Rabbit red. As vibrant as my favourite MAC lipstick shade, this had spice, richness and heady but very drinkable. We had this with a reasonably spicy Bimimbap dish and it worked well, so well, we finished the bottle for dessert. Delicious. 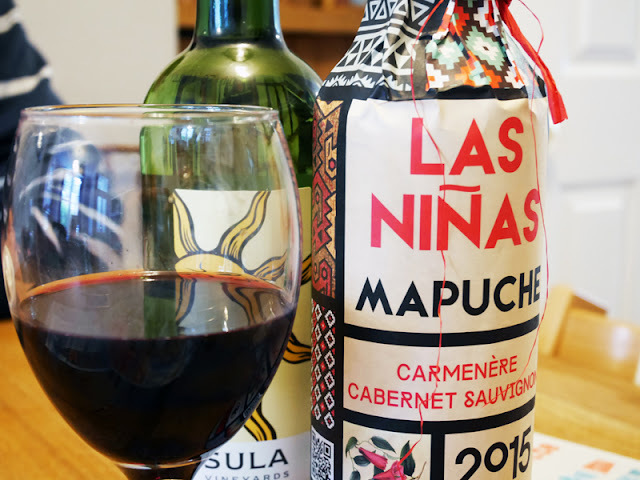 I particularly liked that this was a collaboration wine with Las Ninas of Chile and Le Petit Ballon themselves so it felt like an exclusive bottle and a labour of love. And of course, the unusual bottle, paper wrapped and covered in graphic Aztec patten did not escape my eye. As with all of the wines, you can buy them individually and at £10.90 for a subscriber or £13.08 for a non-subscriber, this is a really well priced red. This is India's first Sauvignon Blanc to have ever been made which was interesting in itself. We took it to a friend's dinner party as it was a bit of a talking point (pretending to be wine buffs much?) and although we were dining on Thai food, the wine seemed to complement the spices well. This was exceptionally light and fresh, more than I was expecting from anything from India which seems to throw it all at you normally. With a very pale colour, there was citrus and floral notes with crisp lemongrass. It was so light, it would be ideal on its own as an aperitif even. As before, I enjoyed both bottles and maybe bottles I would not have chosen myself. Unless you really know what you are talking about, wine can be an absolute mind field and services like this just filter out some great bottles that could well become your favourites. It's a really accessible way to get into wine, or just to enjoy a decent bottle. Subscriptions are available at two levels - "Grape Expectations" is £24.90 per month and the "Age of Raisin" £39.90 per month which includes more prestigious labels. I received samples for review. Words and thoughts, as always, my own.